Westport will be hitting the road this week as a participant in the Blue Corridor Natural Gas Vehicle Rally, happening from October 3 to 19. Organized by fuel suppliers Gazprom and E.ON, the rally stars in St. Petersburg, Russia, and travels a 3,900 kilometre route around the Baltic Sea, with stops in Finland, Sweden, Denmark, Germany, Latvia, Lithuania, and Poland. It even includes a ride on a ferry that operates on liquefied natural gas. 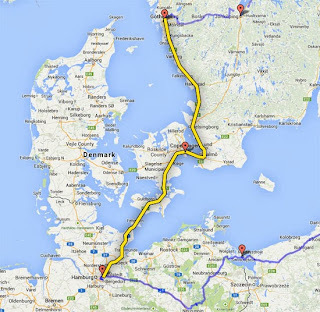 Westport’s Mats Christensson will be driving a bi-fuel Volvo V70, powered by Westport’s natural gas system, from our facility in Gothenborg, Sweden to Hamburg, Germany. “The rally is organized by major natural gas suppliers in Europe, and we believe it’s a good way to promote the use of natural gas vehicles,” says Mats. Westport's Mats Christensson hits the road Oct. 8 - 10, driving the bi-fuel Volvo V70 starting in Gothenborg. This is the seventh Blue Corridor rally, and since the first one was held the number of natural gas vehicles worldwide has almost doubled from 9.5 million to more than 17 million today. Natural gas vehicles offer economic and environmental benefits, and part of the purpose of the rally is to educate fleets, public authorities and the public about the advantages of considering NGVs over vehicles that operate on petroleum-based fuels. Westport will be on hand for a round table discussion with industry, policy makers, and auto enthusiasts, and to display the Volvo V70 while in Hamburg on October 10. “We’ll be exhibiting the vehicle to anyone who’s interested in learning more,” says Mats. And people who happen to miss the rally stop and exhibition in Hamburg can still have a chance to see the Volvo V70, as it will be on loan to the Auto Nova Volvo dealership in Hamburg through to December. Follow Mats’s journey during the Rally on Twitter @WestportDotCom from October 8 through 10. 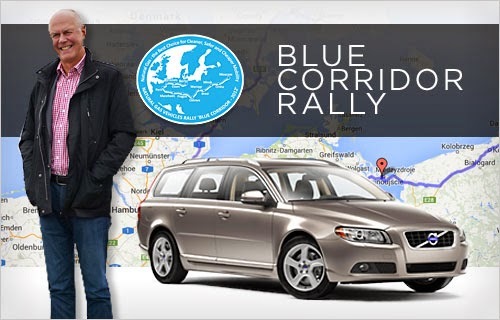 The route Mats will drive for the Blue Corridor rally beginning in Gothenborg, Sweden.